It’s been a year since we first heard rumours that a triple-lens iPhone is coming, and while these rumours gained steam with reports that Apple is testing prototypes with the new camera design as well as leaked renders of what it may look like, most have assumed that Apple would simply be adding the new camera system to the standard lineup of 2019 iPhone models, which are widely expected to be direct successors to the iPhone XS, iPhone XS Max, and iPhone XR. However, a new report from Mac Otakara has now turned that assumption on its head with the suggestion that Apple may in fact be releasing two entirely new models in addition to refreshed versions of the iPhone XR, iPhone XS, and iPhone XS Max. In other words, if this report is accurate, Apple could be coming out with five iPhone models this year. According to the report, which cites “trustworthy sources” from suppliers in China, Apple is planning to release two new iPhone models with the triple-lens camera, a 6.1-inch and 6.5-inch version, both with OLED screens. The 6.1-inch variant is said to be between the iPhone XS and iPhone XR in size, which seems unusual considering that 6.1 inches is the size of the iPhone XR, although the use of an OLED screen could allow it to be slightly smaller due to less of a need for bezel space. The 6.5-inch version would presumably be around the same size as the current iPhone XS Max. Mac Otakara is predicting that both models will be slightly thicker than their current iPhone XS counterparts in order to accommodate the lens unit, which it says will be “larger than the rear camera of the iPhone XR.” The 6.1-inch model is said to gain 0.15 mm in thickness, but the rear camera bump will be reduced by 0.5 mm, while the larger 6.5-inch version will only gain 0.4mm of thickness, offset by a 0.25 mm reduction on the camera protrusion. Sources are also saying that this may be the year that Apple will finally include 18-watt USB-C chargers and USB-C to Lightning cables in the box — something that was heavily rumoured last year as well, but never materialized. The report also confirms recent rumours that the new iPhones will be able to deliver wireless charging; it’s unclear, however, if this would only apply to the triple-lens camera versions or would be done across the entire 2019 iPhone lineup. While Mac Otakara has a pretty solid track record when it comes to iPhone rumours, this information is far enough out there that it should probably be taken with at least some skepticism, especially in light of conflicting information from other sources. 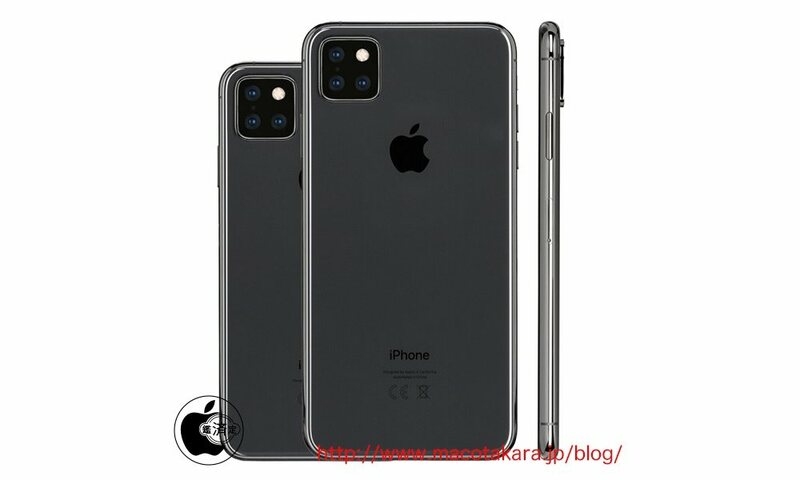 For instance, last week OnLeaks revealed that they had been told by sources that the triple-lens camera will in fact be available on all of the 2019 iPhone models, although other rumoured features such as frosted glass may only come to the higher-end “iPhone XI” and “iPhone XI Max.” Either way, at this point it’s looking like this fall’s iPhone lineup may still have some surprises in store.